Hybrid securities last year again demonstrated their ability to hold up well in the face of equity market volatility. The Investment Manager of our Active Hybrids Fund (ASX: HBRD) recently wrote a post discussing the strong performance of the hybrids market last year. Indeed, the index of hybrid securities against which the HBRD fund is benchmarked produced a gross return of 4.9% in 2019, compared to a grossed-up loss of 1.5% for the S&P/ASX 200 Equity Index. Hybrids have historically tended to produce attractive risk-adjusted returns over time. Since inception in February 2012, for example, the hybrids index mentioned above has produced annualised gross returns of 6.5% p.a. This has been achieved with an annualised monthly volatility* of returns of only 2.8% p.a. By contrast, the S&P/ASX 200 has produced annualised gross returns of 11.7% p.a. over this period, albeit with considerably higher annualised monthly volatility of 11.2% p.a. As seen in the table below, on a risk-adjusted basis hybrid returns are more than twice as attractive as those of equities over this period. Source: Bloomberg. Past performance is not indicative of future performance of index or HBRD. Equally impressive, however, is the fact that hybrids returns last year once again demonstrated their resilience when equity markets were at their most vulnerable. 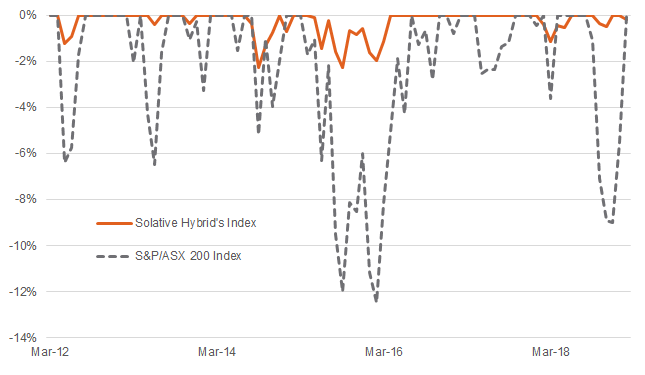 As seen in the chart below, the worst peak-to-trough decline in total returns for the hybrids index (on a month-end basis) has been no more than 2% over recent years, compared to 12% for the S&P/ASX 200 Index. During the latest share market sell-off in late 2018, hybrids returns held up very well once more. All this suggests that at least during periods of normal equity market volatility over the economic cycle (i.e. when the actual solvency of hybrid issuers is not seriously in question) hybrids tend to offer better downside protection than equities. Investors seeking diversified exposure to Australian hybrid securities can do so via the BetaShares Active Australian Hybrids Fund (managed fund). The Fund aims to invest in an actively managed portfolio of predominantly hybrid securities (though it can allocate to lower risk cash or bonds if the hybrids market is assessed to be overvalued or to present a heightened risk of capital loss). Note: Hybrids are relatively complex securities that combine elements of debt and equity securities. 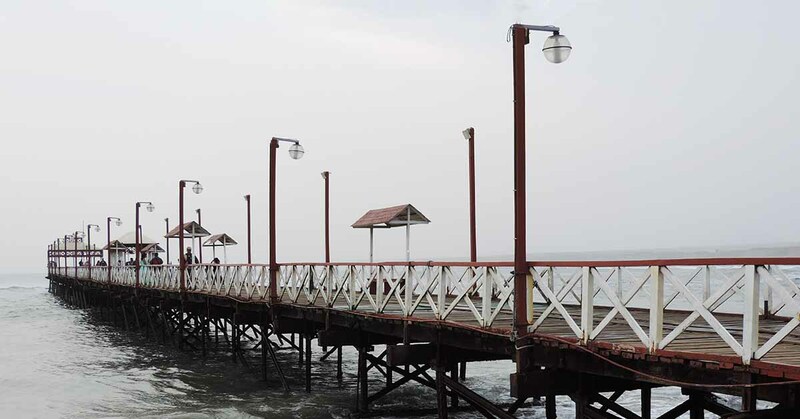 Further details on the features and risks associated with the HBRD Fund are available here. *Standard deviation of monthly gross returns, annualised by multiplying this by square root of 12. **Average estimated gross yield (weighted by market values and inclusive of franking credits) of the hybrids in the portfolio, divided by the current market price of the securities. Provides an indication of the expected current income from making an investment at market price. This figure is indicative only and will vary over time. Not all investors will be able to obtain the full value of franking credits. Thanks David! I already own both CRED & HBRD both in our SMSF & private portfolios! I believe these are excellent investments to “counter” our exposures to the ASX & other Overseas based stock exchanges that are more volatile! Keep up the good work and always keep us informed with your newsletters & presentations both online & in person! Bank preference shares, widely held by pensioners, could suffer capital losses besides the franking credit loss. Is this the time to sell rather than to buy HBRD? Whilst i can not advise you on when to buy or sell. It should be noted that hybrids do have the possibility of incurring a capital loss, however they have historically shown to be less volatile than equities. If you did have any further enquiries, you are welcome to either email us at info@betashares.com.au or call us on 1300 487 577.